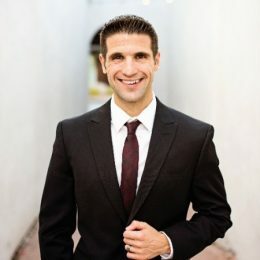 Bill Kamboukos is the owner and president of Strategic Mortgage in Scottsdale, AZ. He is a mortgageindustry veteran who works hands on in all aspects of the mortgage business and is the driving force behind Strategic Mortgage. clients for life, honest business practices and education; Bill has created a unique mortgage firm in Strategic Mortgage. Bill has both undergraduate and graduate degrees in Finance, International Business and Management and has a passion for mortgage education. When not leading Strategic Mortgage, Bill brings the same passion to his family life and community and a desire to create a legacy of business and philanthropy. A mortgage is the single largest debt your family will ever undertake, Strategic Mortgage recognizes the importance of a sound plan that fits your specific needs. Contact Bill Kamboukos and Strategic Mortgage today, to see how we can create the perfect mortgage plan for you today.